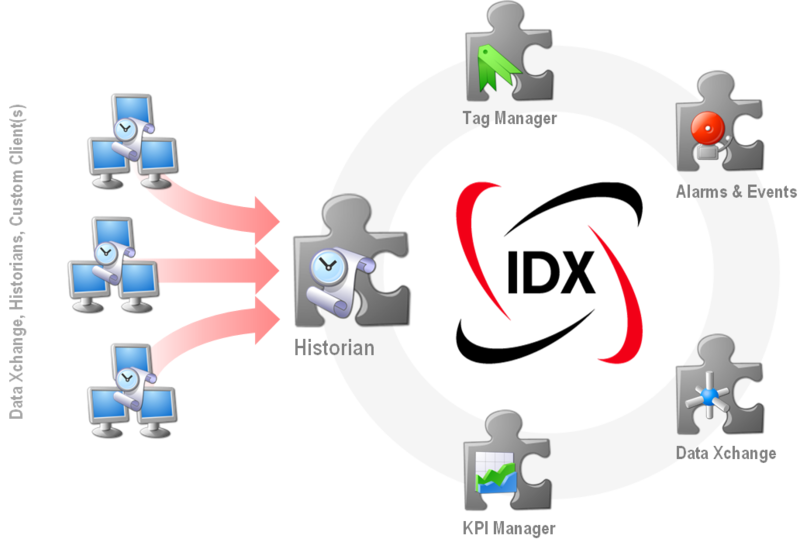 IDX has been busy with the development of a plant data historian that bridges the gap between low cost simple file logging and the very powerful scalable enterprise class historians available from OSISOFT, Wonderware and others. 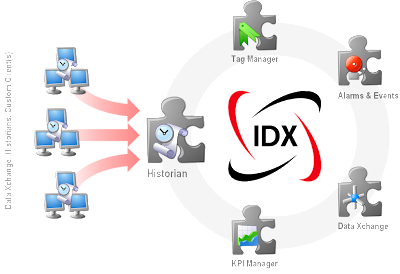 The IDX8 Historian is a module that is part of the growing portfolio of IDX8 - a framework for plant data integration and performance monitoring. It supports a number of data compression algorithims, handles buffering when historian is temporarily offline (stopped, or network outage), and can scale from a few tags to many thousands. It makes use of Microsoft SQL Server Express, which is free, but for more demanding applications can be upgraded to a full Microsoft SQL Server.